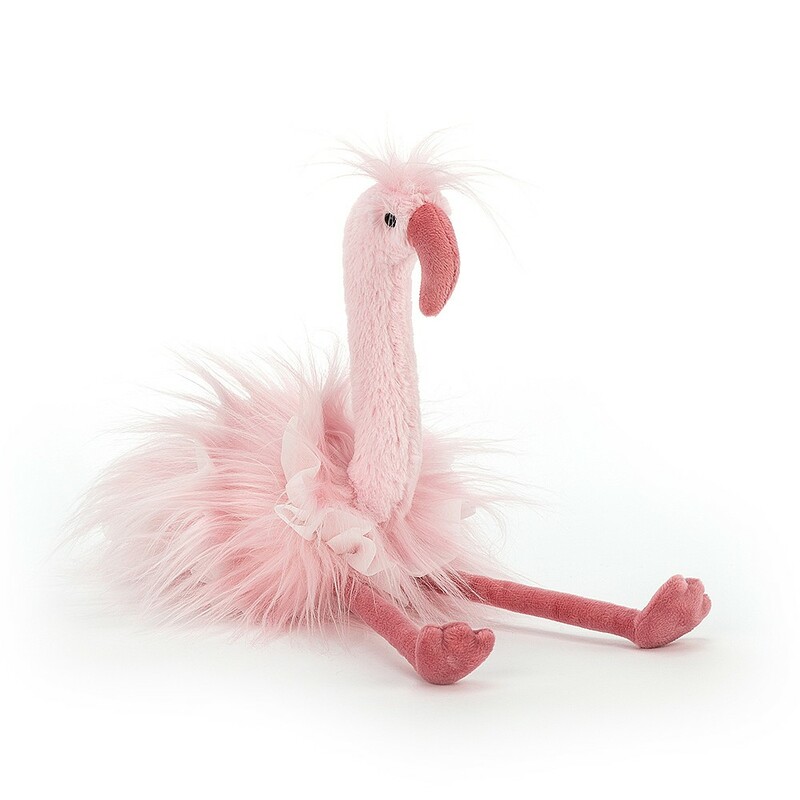 This beautiful Flo Maflingo is such a showgirl, in her lovely pink tutu and feathers. 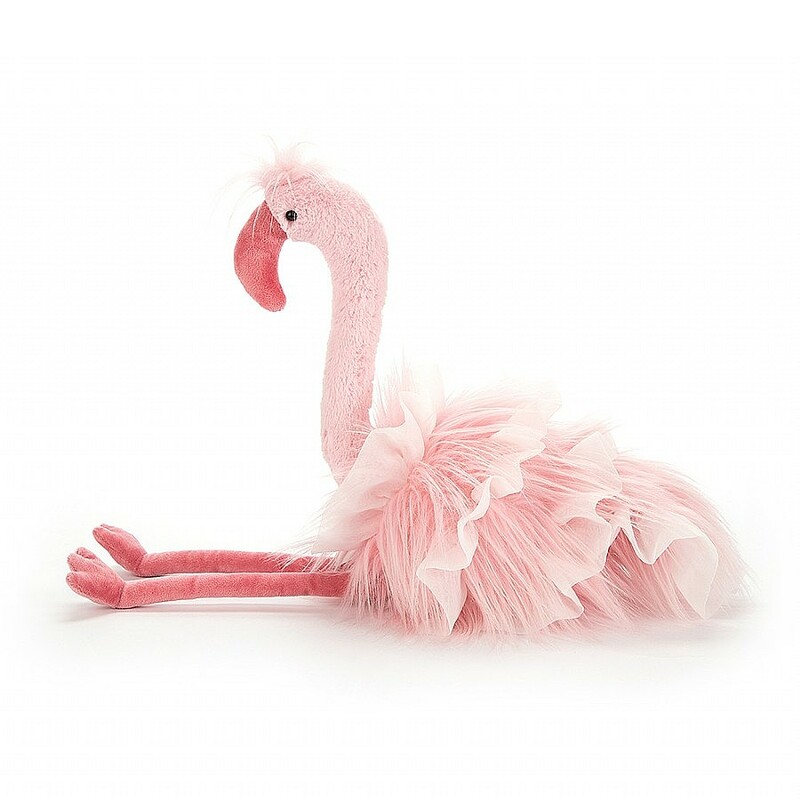 This little flamingo has powderpuff plumes and sweet tutu frills in candyfloss pink! She has lopsy legs and snuggly, squeezable beak. Her stiff neck stands up for posing power, and up on top, she's got a shock of soft pink fur.